Google+ is a social media platform that is powered by Google. Google+ Hangouts is a video-based interaction that is similar to Skype and Apple FaceTime where you can have several faces showing on the screen simultaneously. 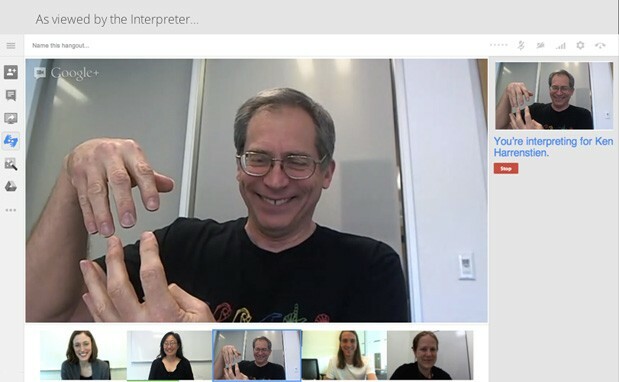 Google has added a Sign Language Interpreter app for Google+ Hangouts. Also, we now have keyboard shortcuts that let you navigate the interface easier.